Brainwave Sound System by PureH/Pharmafabrik: a sound therapy tool for relaxation and tinnitus treatment. Slovenian Innovation forum selected Brainwave Sound System among 40 of the best innovations. 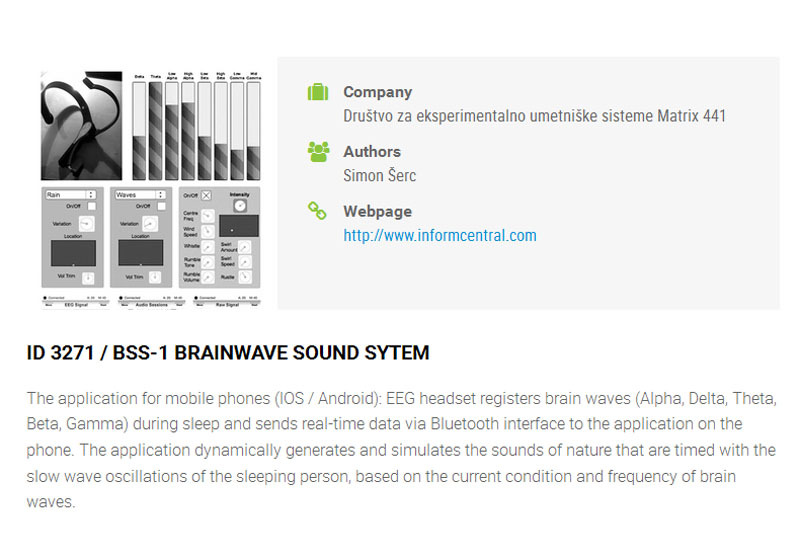 Brainwave Sound System is an application for mobile phones: EEG headset registers actions of brain waves and sends real-time data to the application on the phone. 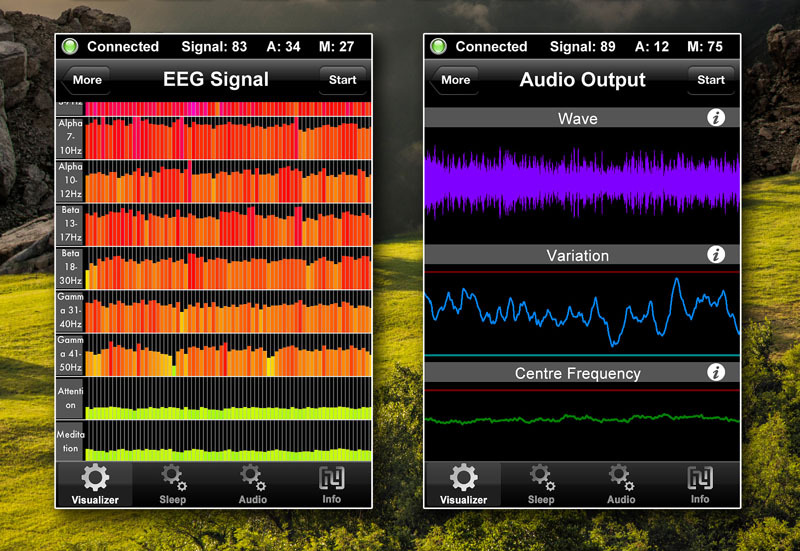 The application dynamically generates and simulates the sounds that are timed with the slow wave oscillations, based on the current condition and the frequency of brain waves.